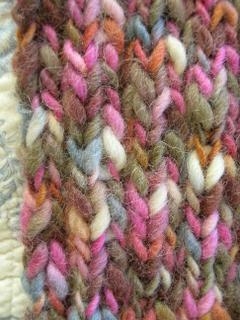 I couldn't resist this beautiful wool. I misplaced the label and of course can't remember what it is. I really understand how someone (would that be me?) becomes a yarn snob. This scarf originally spent a short life being a pair of fingerless gloves. I love those colors. So pretty! 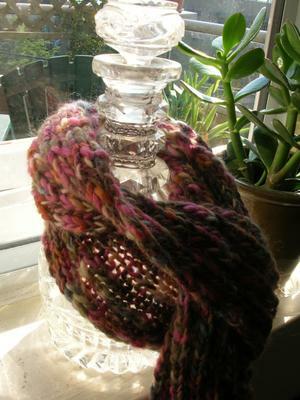 I am not a knitter(gasp) but it is very nice scarf and all your other projects are lovely too.